Whether super probiotics aids diabetes or not hasn't been answered yet through rigorous scientific research, but early research and anecdotal information appears promising. Yet many vegans and raw food vegans shy away from probiotic-rich foods, since most probiotics come from fermented dairy products. There are many alternatives, and so if you'd like to see for yourself if superprobioitics aids diabetes, eczema, or digestive diseases, there are alternatives for you. For many centuries, cultured and fermented foods were a staple part of the human diet. 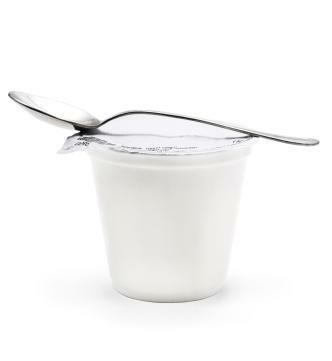 Fermenting foods or adding bacterial cultures to foods transformed raw foods such as cow's milk and tea into delicious cheeses, yogurts, and beverages. Another plus for people who lived in the days before refrigeration was that such foods kept longer than fresh foods, and could be taken on journeys or stored against the lean times. In the 20th century, a Nobel-prize winning scientist named Eli Metchnikoff hypothesized that by altering the naturally occurring balance of bacteria in the human digestive system and tipping the balance towards so-called "friendly" bacteria, one live longer. More information about the latest scientific research into probiotic use and disease prevention or cures may be found on the National Center for Complimentary and Alternative Medicine website. A new term has appeared on the market recently. So-called "super probiotics" claim more strains and variety of beneficial bacteria than typical probiotics. You may pay more for these supplements. Whether or not they are better than simply eating yogurt or taking a typical supplement remains to be seen. Diabetes is a complex disease. There are two types of diabetes, Type I and Type II. Type I, formerly called Juvenile Diabetes, is thought to be an inherited disorder in which the body's immune system attacks pancreatic cells. It is an autoimmune disease. The body is unable to produce enough insulin to regular blood sugar levels, and unless insulin levels are brought under control, seriously complications or even death can result. This type of diabetes usually appears before adulthood and is managed through medications, diet and exercise. Type II diabetes, also called Adult-Onset Diabetes, is characterized by sufficient insulin levels, but the body appears to no longer be able to respond to the insulin. Blood sugar levels are high, but insulin levels are sufficient. Typically a disease striking overweight people and also thought to have some genetic component, Type II diabetes is managed through medication, weight loss, diet, and exercise regulation or a combination of one or more of these. Some vitamins for diabetics may be helpful. All diabetics should consult their nutritionist and physician before making any changes in diet or supplements. Diabetes is an autoimmune disease, meaning the body's defenses become turncoat and attack the bodily organs instead of invading viruses and bacteria. Many people speculate that foods, such as super probiotics, can aid diabetes. Because probiotics appear to strengthen the immune system, the hypothesis is that they can help correct autoimmune diseases, including diabetes. Unfortunately, much of this research comes from nutritional products manufacturers. Many of these manufacturers have a vested interested in proving that their pills, tablets and supplements work. Many studies, such as one cited in Natural News, do demonstrate improvement in the body's immune system after taking probiotics, so the temptation is to extend speculation that probiotics can help diabetes, another autoimmune disease. But many more rigorous double-blind studies and other studies still need to be conducted to see whether or not probiotics can indeed help diabetics. Vegetarians have many options if they want to increase their intake of probiotics through food sources. Keep in mind that probiotics contain bacteria, usually lactobacillus or similar strains of bacteria. Eating yogurt provides one way to include these bacteria in the diet. For vegans, who do not eat animal products of any kind, the options are more limited. Fermented beverages such as kombucha tea do provide some probiotics, but limited strains. The benefits of kombucha do include digestive regulation, so the probiotics in kombucha tea are probably as beneficial as those found in dairy-based products. Do probiotics work? Are super probiotics better than regular old probiotics? Scientists aren't sure. Whether they turn out to be a cure for diabetes is anyone's guess. One can only hope that such a simple remedy turns out to be effective.